Tuva is a small, remote Russian republic in southern Siberia. 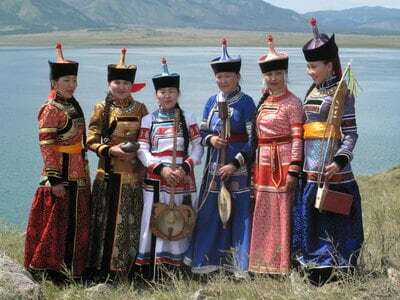 Tuva is famous for its folk music, based on throat singing, which has been preserved through the centuries. “The Song of Nature, which I can sing. On Wild Roads in Tuva, Siberia”, winner of this year’s Prix Italia for the Radio Music category, explores this cultural heritage and guides the listener through Tuva’s steppe-land. According to the jury, the storytelling and the narrative structure make this programme “a pleasing introduction to a unique musical tradition”. We spoke with producer Guri Skeie from NRK. I heard throat singers from Tuva some years ago during a festival in Norway and thought immediately that it was a very interesting kind of folk music. It was back then that I decided that I would visit Tuva sometime in the future, to find out more about the culture from which that music stemmed from. This kind of singing has been used by Tuvans as a means of communicating with the spiritual world, nature and the ancestors. What kind of work lies beyond the final product? We recorded “The song of nature” in eight days. Before leaving Norway, I had done a lot of research to make sure that we would meet the right people as we travelled around in Tuva. However, no matter how much you prepare for a trip in such remote areas, you must expect the unexpected to happen. I had an appointment with an overtone singing professor in Khømei and she had also arranged for me to meet some throat singers and to drive out in the steppe to see where the nomads lived. We got to record some interviews and singing also out there. During the trip I recorded using a Nagra (professional audio recording device, ed) and then once I was back in Norway, I edited the material with a sound engineer for two weeks. What were the biggest challenges and the most rewarding aspects? As for challenges, field recording was the hardest part. It is very hard to control the sound when you are travelling in an old military vehicle. Moreover, meeting people and not knowing their language is definitely an obstacle; I always had to rely on an interpreter. As for the positive aspects, it was nice to see that Tuvans have worked so hard to preserve their culture and traditions. They are very conscious about them and their importance, but at the same time they are willing to share them with others. Finally, a comment on winning this Prix Italia for the Radio Music category. It is great to get recognition for hard work. Moreover, I was quite amazed that such a specific subject like Siberian overtone singing convinced the jury. I am very happy about this. In the future after having been on Lampedusa I am thinking about doing something about the island and migration. It was a very good idea to hold the Prix there.